Hem » Threadless toppar » Odyssey "Marquis" Faceted Gem end. 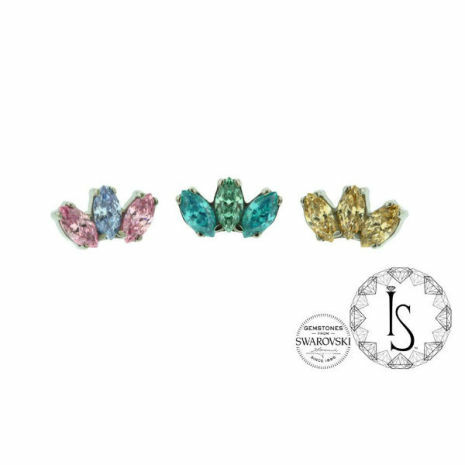 There are 3 x Prong set faceted stones. the gem size is 3mm x 1.5mm or 4mm high x 2mm across. Made from 6AL4V ELI F-136 implant grade titanium.